Considered the cradle of the most beloved traditions of Portugal, the Region of Coimbra is located in the centre of the country and includes different landscapes. The inland is mountainous, whereas over to the coast we find plains bordering the extensive beaches. The gastronomy of the region of Coimbra is vast, including fish dishes of river and sea, meats and conventual sweets, which promise to please all palates! Based on the richness of the products of the land, we mix all the ingredients offered in an excellent tourist recipe, linking the territory with its exquisite flavours and unique foods, being this one of the best incentives to start discovering the culture and the identity of this region. 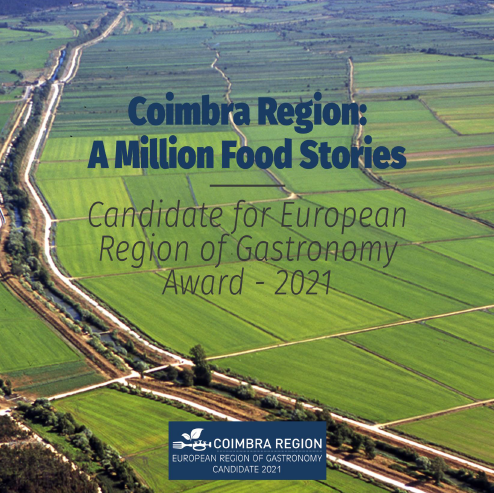 In the region of Coimbra, we see gastronomy not only as a culinary art, but also as knowledge, involving producers, consumers, professionals, students, amateurs and … tourists!